Human memory, it turns out, doesn’t work anything like computer memory. Children lose 40 percent of their early memories by age 7, and 60 percent by ages 8-9. I remember the family Christmas of my early childhood like it was yesterday. My dad became a little kid himself every year: buying too many gifts, wrapping tiny things inside great big boxes for fun, leading my two sisters and me around the house with chains of paper as directional clues to get to something big. There were tons of traditions, naturally: Stockings magically appeared at the ends of our beds overnight, to amuse us until it was legal to come downstairs. The same six-album set of old Christmas classics was played, in order, over the speakers. The room with the tree was walled off until after pancakes and coffee: no arguments, no matter how much we writhed in agony. And then, Mom would lead us in (after Dad, so he could turn around and take the ritual photograph), padding in pajamas around the corner for that first glimpse of the magical tree wading in a glittering sea of presents. Our tree had colored bulbs, long gold braids of tinsel, and a gaudy frosting of silver garland right out of Mad Men. Mom’s fudge perched, always, in a plate on the table in the living room for nourishment as we tore into the loot, one present at a time for maximum drama. I can see it all before me now, in the sepia tones of a fading Polaroid, the Instagram of its day. Now that I’ve looked into this memory thing a little bit, I realize that I don’t actually remember a single one of those Christmases. What I remember, instead, is all of them: a general sort of “Christmasness,” an interlaced set of patterns that was reinforced, year after year after year, by repetition of the same sensory experiences (Bing Crosby’s “White Christmas,” the taste of Mom’s fudge, the silvery glitter on the tree), and by shared stories and photographs between Christmases. Familiar scenes experienced year after year can fold distinct memories into one general memory. It’s likely the same for you. Human memory, it turns out, doesn’t work anything like computer memory. An event — a song, an experience, a story — isn’t stored intact and retrievable, like a digital song or video file. Rather, it’s laid down as a foundational pattern on the first experience, a pattern that can be reinforced and associated with other patterns, that each has its own reinforcements, until the original is more of an inspiration. We don’t “recall” events with the specificity that the word implies; it would be closer to say we remember remembering them. My memories of my old family Christmases are sepia-toned, because every time I looked at a Christmas Polaroid, it literally colored my memory. Memory — the kind in living creatures — is an organic, chaotic process in which storage is easy, and retrieval sometimes a nightmare. “[It’s] like a teenager’s bedroom,” says psychology professor Bennett Schwartz of Florida International University. “They know where everything is, but it’s a complete mess.” Nobody would design a computer this way. And yet this system conveys distinct advantages over computer memory, starting with processing power: Your brain is about 30 times more powerful than the most powerful NASA supercomputer ever made. Many of those little quirks about memory, from déjà vu to a song stuck in your head to trying to remember something that’s “right on the tip of your tongue,” aren’t bugs in your system — they’re features, and they’re unavoidable because of the way human memory works. What Exactly IS a Memory, Anyway? I Forget. Sensory impressions and thoughts, as we know, are patterns of electrochemical activity: a set of particular neurons firing in series. 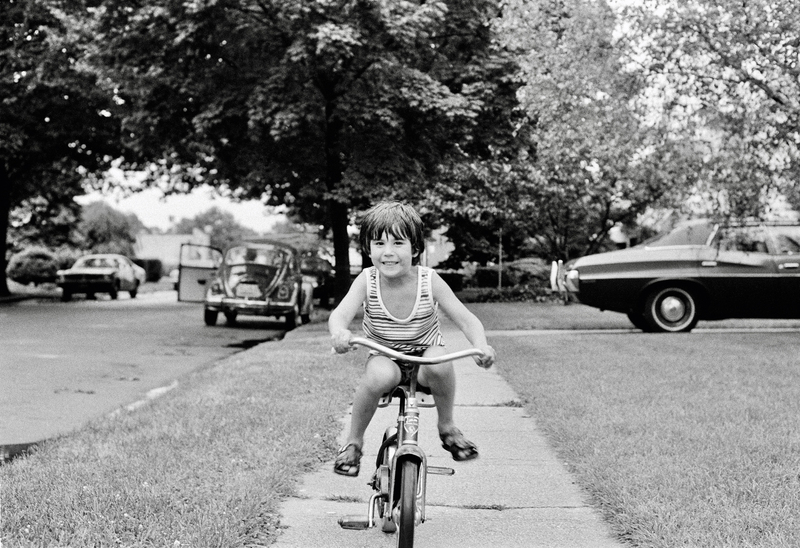 A memory — the first time you rode a bike, say — is a collection of these patterns that can contain multiple elements: the wobble of the wheels, how old you were, what time of year it was, whether you felt liberated or limited. Remember that each neuron can be connected to thousands of others. Some patterns involve many, many neurons; some neurons are involved in many, many patterns. And the patterns can overlap: Your memory of a particular Justin Timberlake concert and the lyrics of one of his songs, for example, can mutually reinforce and evoke each other. 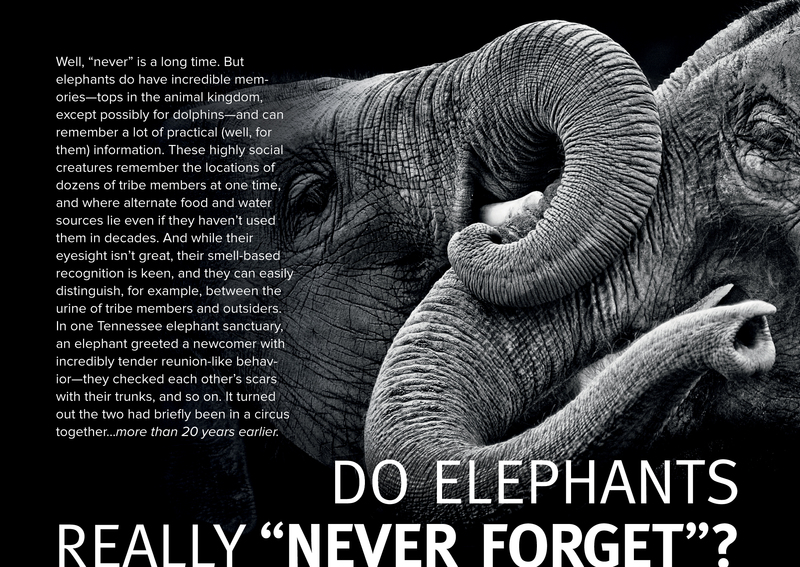 The pattern a particular memory takes is chemically strengthened every time it’s revisited. Neuron-to-neuron communication shuttles back and forth between the electrical and the chemical; a pattern revisited strengthens each connection along the way by marginally increasing the relative amplitude at the receiving end of each synaptic junction, making it more likely the signal will travel this way next time too. That’s a memory. And just as a pattern that’s revisited is strengthened, a pattern that isn’t is weakened. What you had for lunch on August 12th, 2008 is still in there somewhere, as a pattern, but odds are it’s growing fainter and fainter as its component neural pathways are partly and gradually overwritten for more recent or more meaningful memories, getting more and more degraded and difficult to dig up. You can be reminded of something you’ve long “forgotten,” as when an old friend finds just the right detail that brings an old anecdote back to life for you. But it becomes less likely as the years go by, as other patterns imprint themselves and get reinforced at the expense of earlier ones. Memory is a story you never stop telling yourself. I recently came across I Wish That I Had Duck Feet, a favorite childhood book of mine that I hadn’t seen for probably 35 years and had quite forgotten. It was originally written under a pseudonym, so it didn’t make the general canon of Dr. Seuss books (Green Eggs and Ham, etc.) that you and I have seen more or less continuously over the years: in kids’ rooms, in bookstores in passing, and ultimately in our own house, as our children grew. But Duck Feet totally took me back: I savored it, page by page, with memories flooding in. I would have said I’d completely forgotten it, but revisiting the book thoroughly rebuilt that pathway. Now I can talk about that book today, and connect it to my childhood as if there’d been no gap in that memory. It was brought back from the dead. When you see your newborn child for the first time, you may hope to preserve the moment forever. But the information isn’t “stored” in the sense of a file,” an exact set of data that goes into a drawer to be retrieved later. Rather, it’s a sensory experience — seeing the face, hearing those baby noises — associated with emotions (love, protectiveness) and other signals of importance. Your memories aren’t distinct phenomena from original experiences; rather, those original experiences, when recognized as important (in part because of associated emotions), are organized as a coherent, semi-retrievable story. Ultimately a personal anecdote seems to be stored similarly to the way a preliterate community stores its history. Each retelling strengthens the general story, but some details are deemed more important than others and are remembered better; “unimportant” details can be lost or contested over time. As with a community, unconscious biases can affect the way a memory’s retold and remembered. As a result, that history — and your memory — can evolve over time, accidentally or on purpose. 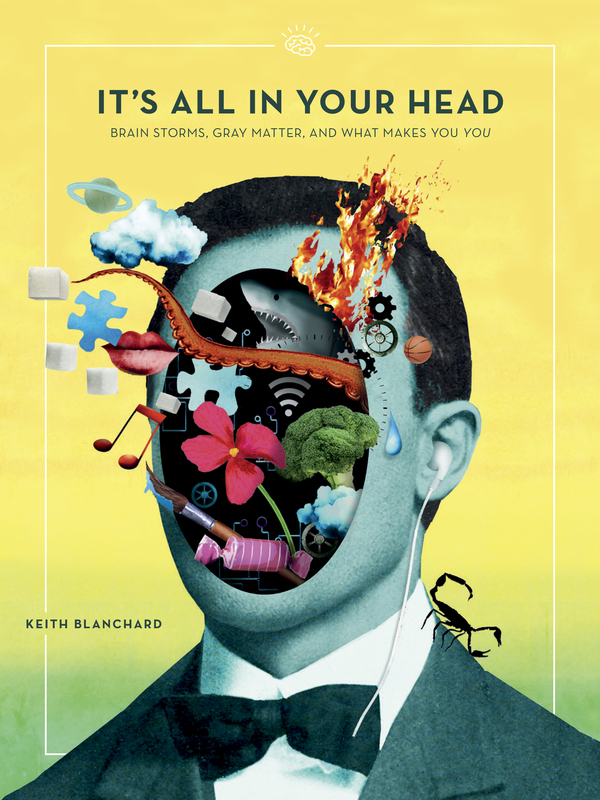 From It’s All In Your Head: Brain Storms, Gray Matter, and What Makes You You by Keith Blanchard, published with permission from Wicked Cow Studios. A Thrive Global “Gifts to Thrive By” selection. Keith Blanchard is the author of It's All In Your Head (Wicked Cow Studios, 2017) and CEO of Teamstream Productions, a next-gen content production house dedicated to assembling the exact team you need to conquer any publishing objectives. In previous media lives he was chief creative officer of Story Worldwide, ran digital for Rolling Stone, launched websites for Us Weekly and Cosmopolitan, and was editor-in-chief of Maxim magazine. Generally speaking, though, he would rather be fishing. How I built my first memory palace in 15 minutes.